This is the 6th year that the Coop is holding a weekend of screenings to showcase work that’s come in over the previous year. My video portrait of Joe Westmoreland, called Joe, was screened on Friday, Jan 25 as part of the new works event. Many friends were there. Joe Westmoreland, of course, and Charlie Atlas, with Lori E. Seid. And Elise Gardella, Phyllis Baldino, Amanda Trager, and Jim Hubbard all arrived. Sheila McLaughlin was there as well and introduced herself to me at the end. These people are all amazing! The other work showcased: KG by Cynthia Madansky; Valeria Street by Janie Geiser, Carmel/Washington Heights/Home by Maia Liebeskind; Yem’s Place by Aaron Kelly-Penso; The Way Home by Erica Sheu; Soul Train by Carolina Mandia; Kendo Monogatari by Fabian Suarez; An Empty Threat by Josh Lewis. What a fantastic screening! Makes remember why experimental filmvideo work is so important. 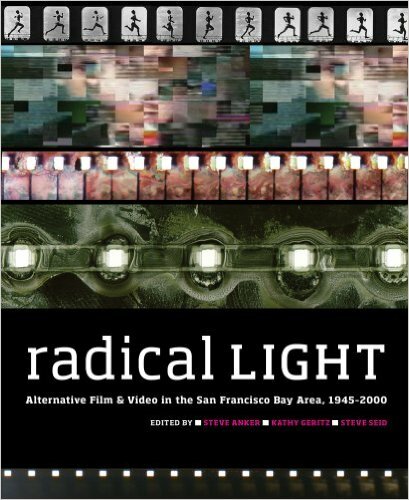 It’s radical, it shows things in a new light, it asks lots of questions and many of those are visually-oriented. 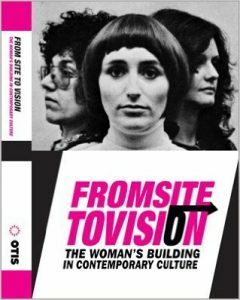 In the late seventies, the filmmakers Lis Rhodes, Jo Davis, Felicity Sparrow and Annabel Nicolson founded the feminist film and video distribution network Circles in London. Circles was created in response to the need to have a platform for films by women. 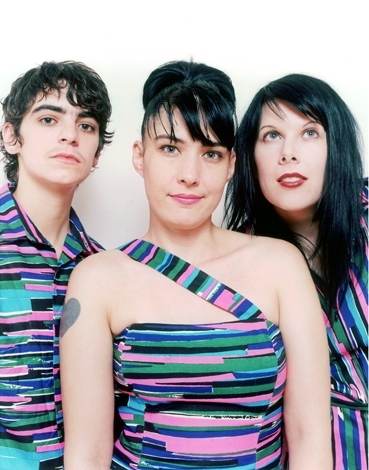 Previously, its founders had all been members of the London-based Film-Maker’s Co-op, and Circles was also a response to the lack of representation of women filmmakers in that co-op. The screening at the Kunsthalle is part of a series of events and screenings focusing on filmmakers since the 1970s. The films screened are by Peggy Ahwesh, Cecilia Dougherty as well as by Hannah Quinlan and Rosie Hastings. They look in different ways at queer communities, playing with stereotypes, exploring the autonomy of community spaces and looking for individual forms of expressions within the communities. I’m showing two videos, Eileen, from 2000, and Joe, from 2018 in Circles. 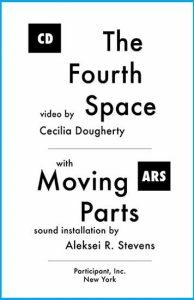 My 1991 pixelvision feature, Coal Miner’s Granddaughter, and my 1993 collaborative video with Leslie Singer, Joe-Joe, are both screening at Lincoln Center on Wednesday, August 15. 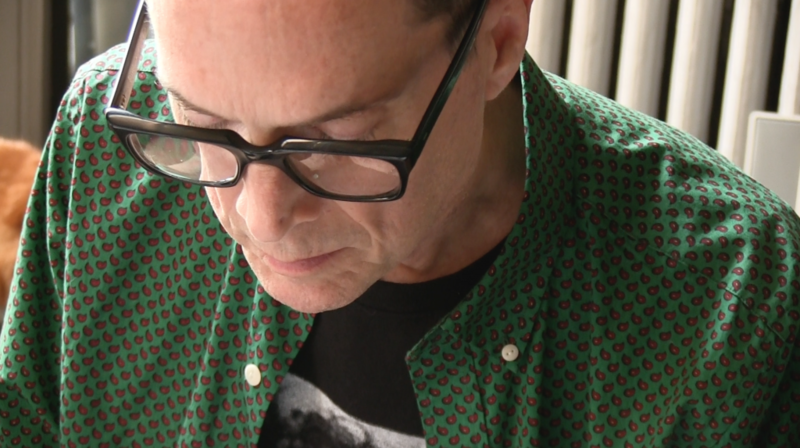 Join Michael Almereyda, Ben Coonley, and Cecilia Dougherty for a wide-ranging discussion about Pixelvision, moderated by Film Society Programmer at Large Thomas Beard. What drew so many artists and filmmakers to experiment with these temperamental toy cameras? In what contexts did the resulting works first emerge? How differently do we understand such projects today? What possibilities remain for the format? We had our panel discussion last night – me, Michael Almereyda, and Ben Coonley. Thomas Beard had a lot of good questions and thoughts about pixelvision to bring to the discussion. Michael Almereyda, however, created a Sadie Benning lovefest out of it, which I do not actually wish to be a part of. I believe Sadie’s early pixel work is great work – the work of an embattled adolescent who completely turned her own life around through sheer creative drive. Michael, however, called her early work the “pinnacle” of what’s achievable in the medium and claimed that the others of us on the panel, with all due respects, could never measure up. I know that looking for stars, assigning individuals to a place in a canonical hierarchy of “film greats” seems to make real a sort of fantasy about filmmaking and about the idea of individual achievement itself. But art has never worked like that. It is an entirely collaborative exchange, the way language is an exchange, the way culture itself is an exchange – an ever-evolving set of moments, all in flux and none towards a pinnacle, none towards a final statement. I appreciate Sadie’s early work. We are not all trying to achieve work like that, however. None of us are copying or are trying to copy Sadie’s work. Not that we can’t for reasons of it’s being the pinnacle of achievement that somehow says it all – the alpha and the omega – but that we don’t need to or want to make work like that because we have our own contributions to make and have found other uses for the medium. All are valid. A celebration! 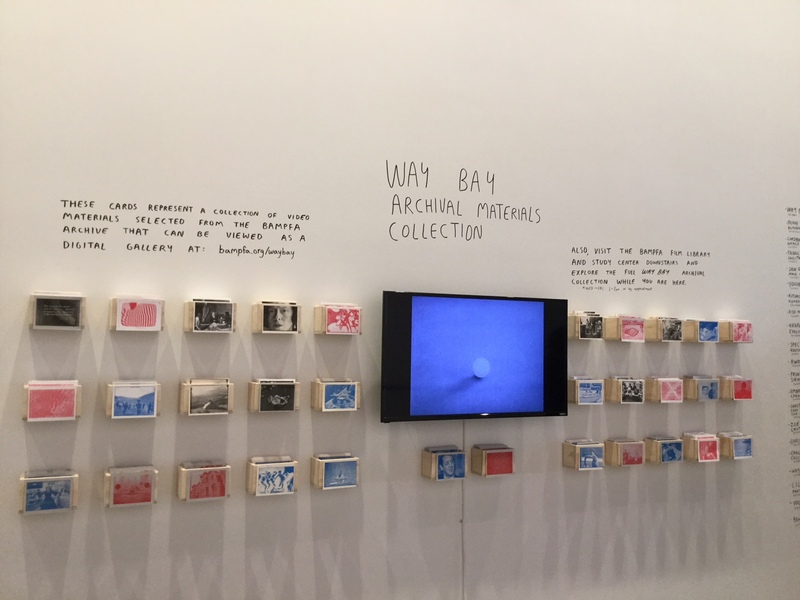 Part of the WayBay installation – visitors can take postcards from the packets on the wall and the work is screened in the middle. 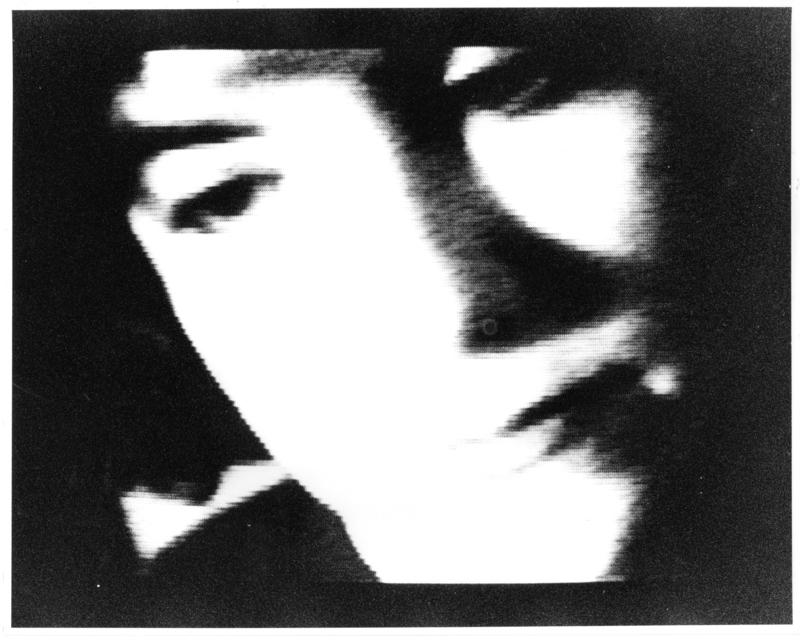 One of the postcards with a video still from my piece GAY TAPE: BUTCH AND FEMME, 1985. The exhibition takes a nonlinear form and is organized around diverse poetic themes that cut across time periods, media, styles, and artistic cultures, bringing together voices from a wide range of practices and representing diverse communities and sensibilities. 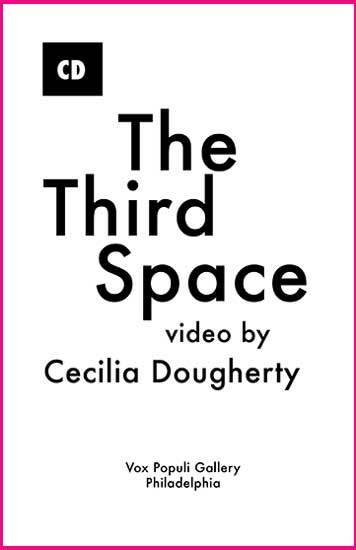 Works by artists and filmmakers such as Bruce Baillie, Lutz Bacher, Joan Brown, Bruce Conner, Jay DeFeo, Enrique Chagoya, Richard Diebenkorn, Ernie Gehr, Saburo Hasegawa, Sargent Johnson, Joanne Leonard, Chiura Obata, Helen Clark Oldfield, Joe Overstreet, Alice Anne Parker Stevenson, Rosie Lee Tompkins, Carlos Villa, Cecilia Dougherty and many others are juxtaposed throughout the exhibition. Many additional works will be on view June 13–September 2. A series of interviews and discussions with artists commissioned to create web-based work for In-Between Theories, an online artspace by Cecilia Dougherty and David Kalal. 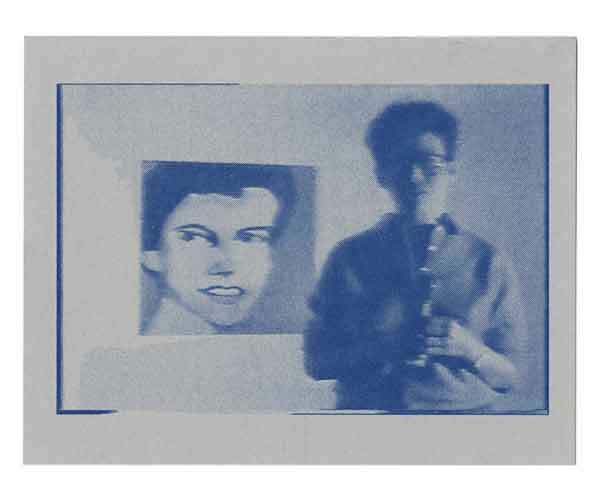 Our most recent conversation is with the artist Phyllis Baldino, whose first iteration of a work in progress is up and running on In-Between Theories. 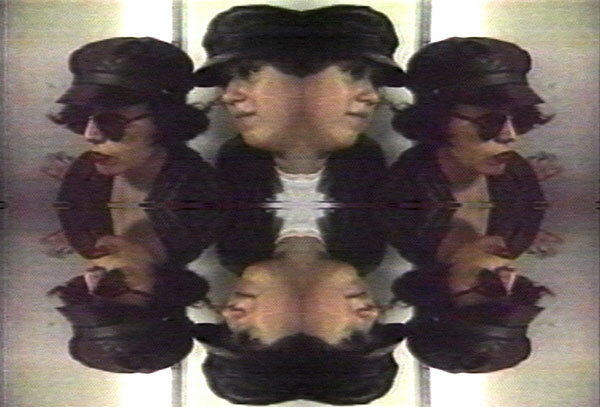 Video still from my 2-channel installation GONE (2001) starring the inimitable Laurie Weeks. 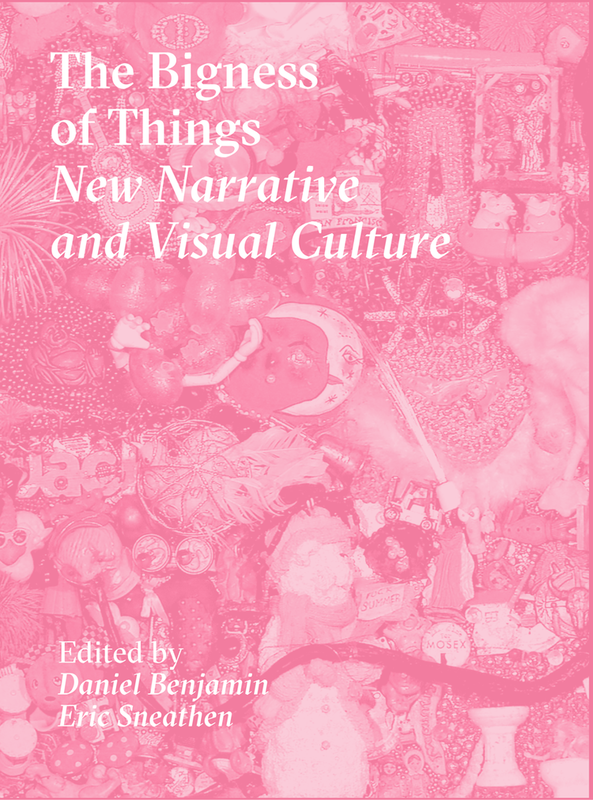 Published in conjunction with Communal Presence: New Narrative Writing Today. Two of my films from the writers series, Eileen and Kevin & Cedar, were screened at the Roxie Theater, San Francisco, in October 2017 as part of the conference. 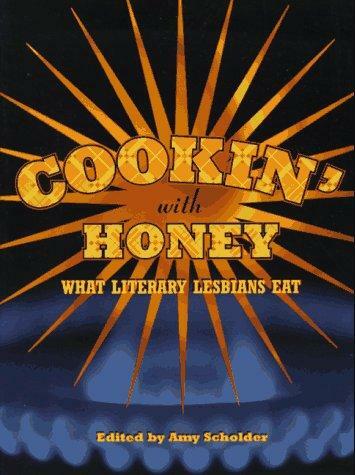 This book presents, background, foreground, and everything in between. It’s a beautiful accompaniment to conference events. 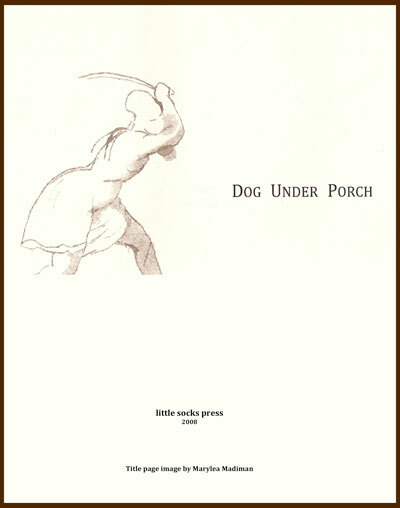 The essays in this volume begin to open up this archive, showing a variety of engagements with the small press publications of this period. We turn to a younger generation of scholars and writers and are invigorated by how these texts resonate in their readings. 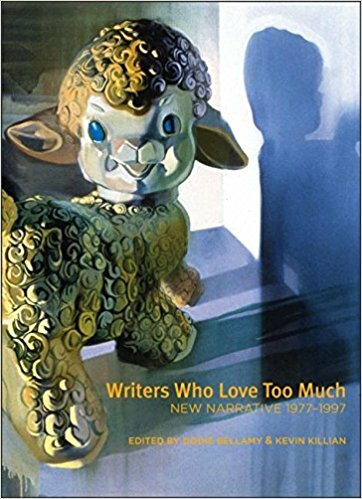 I have a short story called Sue in a Writers Who Love Too Much, edited by Dodie Bellamy and Kevin Killian, from Nightboat Books (2017). Thanks a million, Dodie and Kevin! 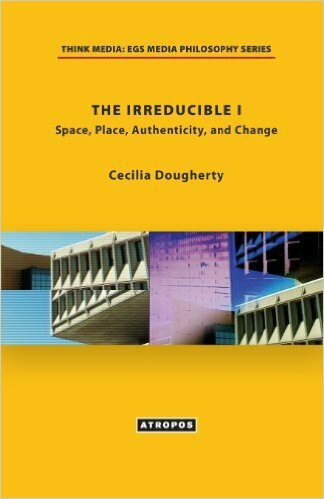 My first book, The Irreducible I: Space, Place, Authenticity, and Change was published in 2013. It’s a series of essays about migration, connectivity, and networks. I write against rulership by corporation and suggest methods for observing the social realm in terms of points of contact rather than steps in a hierarchy of social, economic and political power. The methods I suggest are based in observation and release from ideology, and can be taken immediately, beginning on the scale of individual responsibility and possibility. Visit my collaboration with artist-provocateur David Dasharath Kalal called In-Between Theories. Our first event from this collaboration was a screening and panel discussion at the MIX Queer Experimental Film Festival in Bushwick on Feb 5, 2017. Our first artist commission is “longcat” by Luba Drozd. There’s information about the artist here, and our new PODCAST here. We’re building our argument against over-theorizing the situation with animated gifs, of course! Thanks to Laurie Weeks for being my muse, now and always. 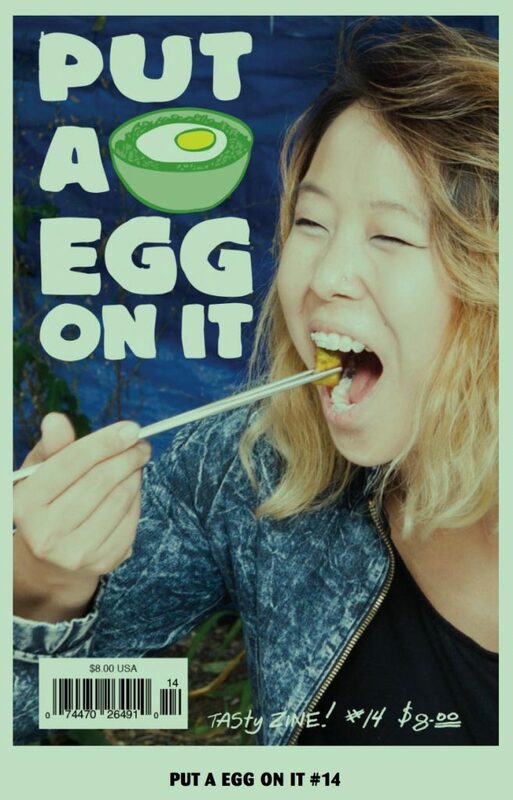 Click image to animate it - no theories here! The image above is a video still of subway musicians, from my 2009 video, Supertasking. It’s about time. This series is comprised of stills from my 2011 video of the same title, a play on the first modernist poem by Ezra Pound, In a Station of the Metro. The “station” of my title refers to television stations and the images were taken from the screen, from a variety of shows such as Breaking Bad, Royal Pains, and a sci-fi show that really tanked, the name of which I completely forget. 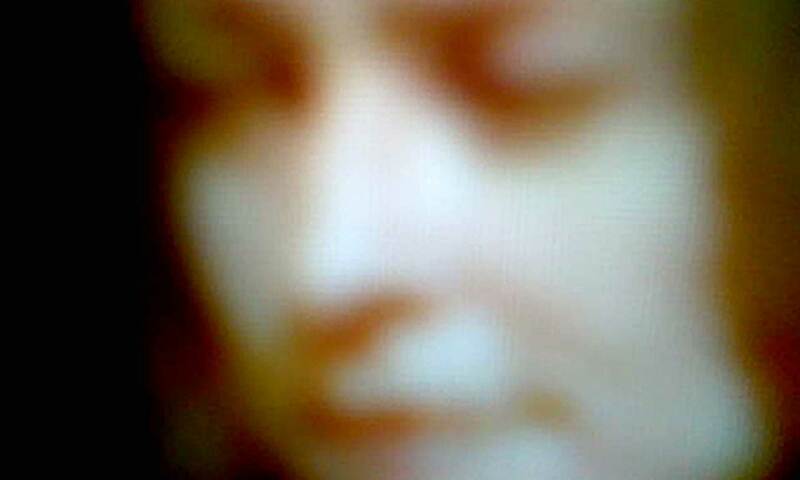 Furthermore, these are images from my trusty Nokia flip-phone. God how I miss that phone! The Nokia took very low-res images. But they were beautiful and translated well to these archival prints. 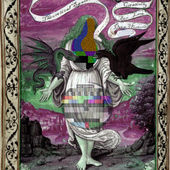 These prints originated as video images as well. In 2010, I had one of the last residencies at the Experimental Television Center in upstate New York. Artists in Residence were treated to the absolute most fun video machines ever constructed. These included custom-built equipment by David Jones, Dan Sandin, Nam June Paik, and others, as well as vintage analog video and audio processors and downstream keying systems. A veritable funhouse. Anyway, these prints represent the minutiae of analog video’s processes – what occurs in the non-digital electronic space only occurs once and only for a milli-milli-milli-second. I fell in love with the range of colors and movement that analog provides. 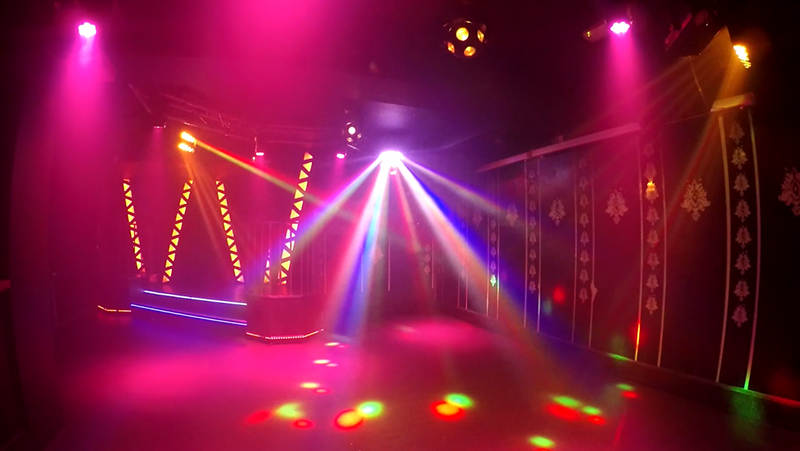 The analog environment, the environment of my youth, created these video stills. Photo above was taken at the Staten Island Ferry Terminal. We (students and faculty) were waiting for the shuttle to take us to the College of Staten Island while someone sleeps in the corner of the space. Homeless people often use this small space to rest and to sleep. We ignore them, we just let them be. No one’s responsibility, right? Mostly, we don’t know what to do. On the Go, a report on what’s available to the itinerant academic at food trucks, pit stops and university cafés in New York.